In the vinyl era, David W. Berner played rock 'n' roll in a neighborhood garage band. Decades later at the age of 57 he enters a national songwriting contest and quite unexpectedly is named a finalist. But there's more. He's called on to perform the song live at a storied venue for Americana music. Grabbing his old guitar and the love of his life, David hits the road, hoping to live out a musical fantasy he thought had been buried long ago. 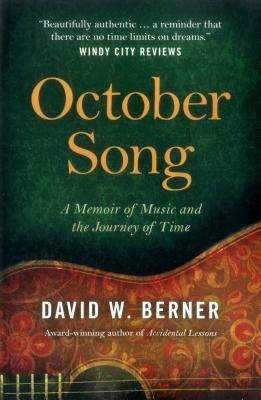 October Song is a powerful examination of the passage of time, love, the power of music, and the power of dreams.FINALIST American Book Fest's 2017 American Book Awards.